Quite literally a blank canvas, there’s no limit to the number of fantastical concoctions you can create. And while the internet is bursting with all sorts of toast ideas, there isn’t one like this. 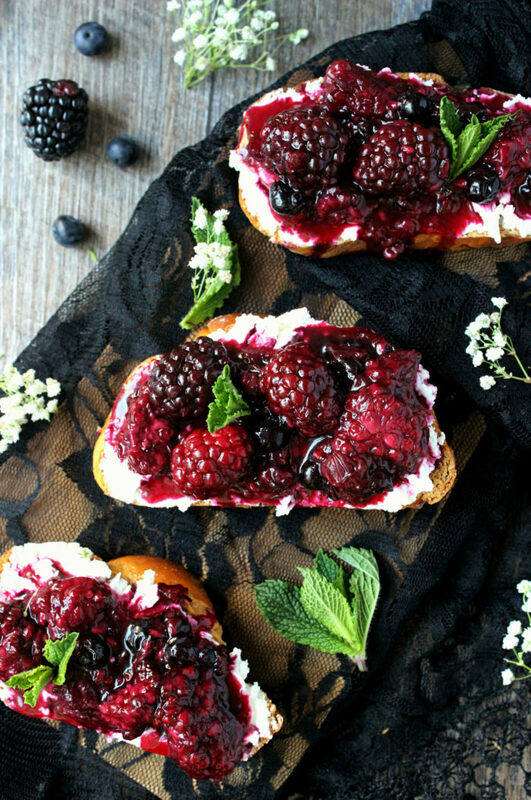 Because these smashed blackberry & goat cheese toasts could be served as a meal, a snack, OR an app! It’s quite possibly the most versatile toast ever, and it’s ready in just 20 minutes. 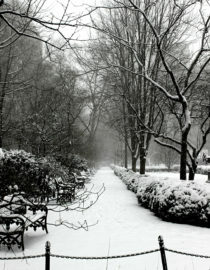 Since winter is mostly miserable — besides the skiing, of course — I figured we could all use a touch of spring. So I built a winter-y toast with a distinctly spring-y vibe, and let’s just say the obsession is REAL. The first time I made this was a happy accident, one where it was 4pm, I was starving (big surprise), and there wasn’t much food in the house. So after indulging in a senseless melodramatic breakdown (as all adults do), I managed to find a few scraps — five blackberries, a nugget of goat cheese, and half a slice of rye. Like a desperate fool I slopped these three ingredients together in a rather unglamourous fashion, but in the end I knew I was on to something. A touch of sweet, a hint of savory, and a whooole lot of crisp. After that first toast I knew I had to make it again, but obviously — better. So when I decided to fashion this into a real, true recipe, I delved a little deeper. And in doing so I created a smashed blackberry quick-jam that’s robustly citrusy with mellow hints of tart and sweetness brimming from the edges. 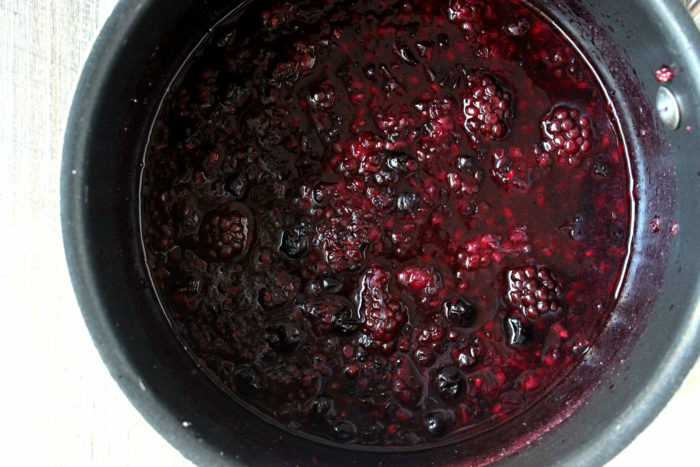 The gist is to combine blackberries, blueberries, water, sugar, and vanilla in a saucepan, then heat until simmering. Once the fruit begins to burst, gently mash it with a fork or potato masher, then whisk in a touch of cornstarch for thickness. Within minutes you’re staring into a sea of berry red deliciousness that smells like freshly baked pie, it’s downright delightful. 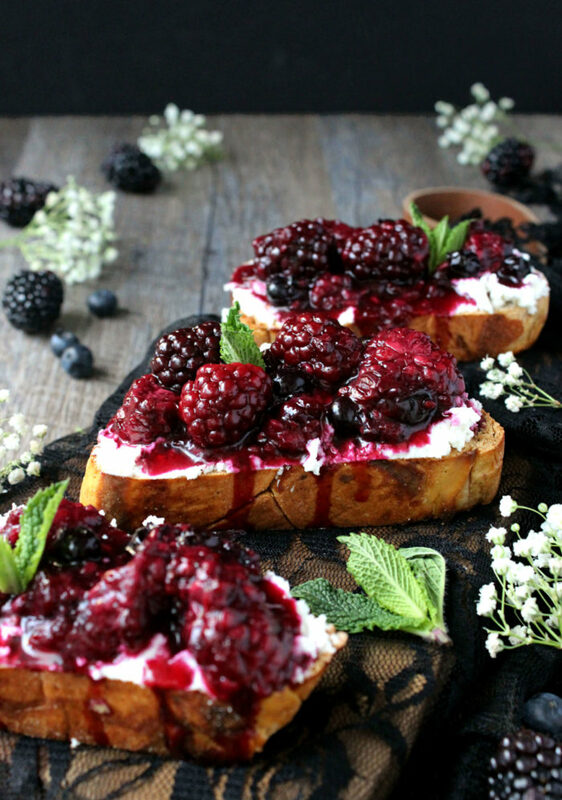 And from there all you’ve gotta do is toast some bread, smear some goat cheese, and then ladle on the blackberries. As delicious as it is easy? You bet. 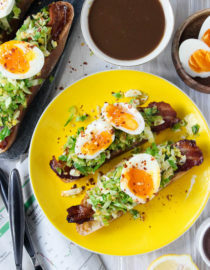 What’s great about this recipe is that it’s uniquely scaled for you, a duo, or a whole damn crew. 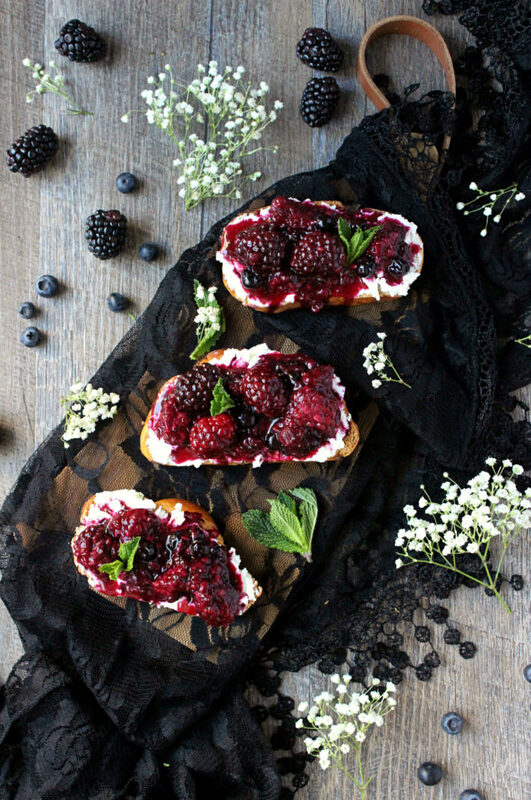 The blackberry jam keeps nicely in the refrigerator for about two weeks, so this is a toast you can remake countless times. 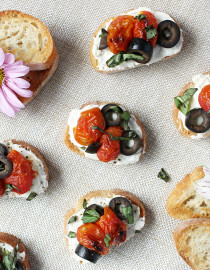 It’s hearty enough for a meal, delicate enough as a snack, and downright GORGEOUS as an app! I mean, are you seeing these colors? 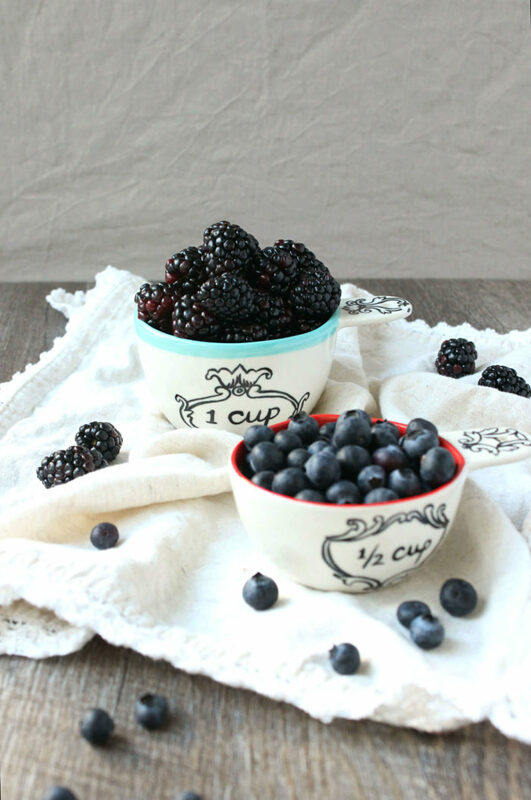 In a medium-sized saucepan combine the blackberries, blueberries, vanilla, sugar, and water (covered) over a medium low flame. Once simmering and the fruit begins to burst (about 5 minutes) gently mash with a fork or potato masher, then whisk in the cornstarch until well incorporated. * Cover once more and simmer over a low flame until needed. Meanwhile, toast the challah bread as desired — I recommend extra crispy. 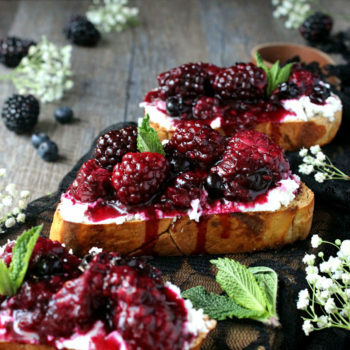 When ready, smear each slice of challah bread with a thick layer of goat cheese, then spoon over with the smashed blackberries. Garnish with mint, then eat! *add 1 tsp if you want the blackberries more runny, 2 tsps for a thicker texture! >> if eating for one, still follow the recipe! 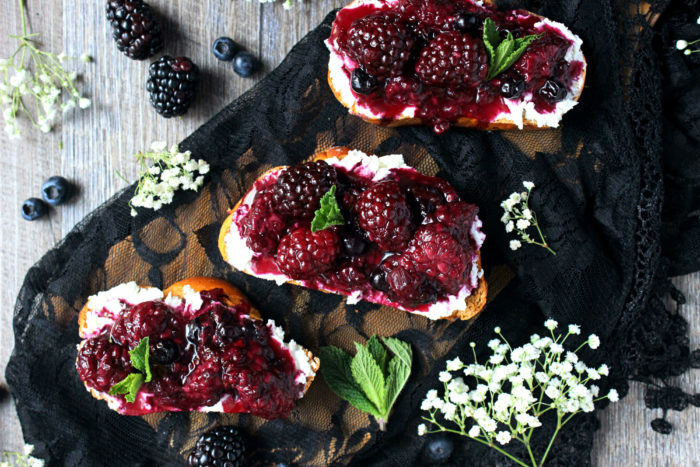 the leftover blackberries can be refrigerated in a glass container for up to two weeks, so you make this toast even quicker the next time you crave it. This looks so good and sweet! Can’t wait to try myself! Thanks for the recipe! can you sub in some other cheese? I don’t like goat cheese, lol. Perhaps cream cheese? mixed with feta? 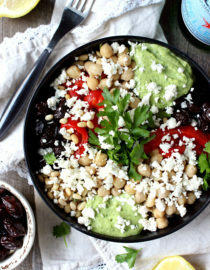 Can I substitute ricotta cheese for the goat cheese? This was a huge hit at our Thanksgiving Day get together! Absolute deliciousness!! I am going to make this tomorrow! One of the best sandwiches I ever had was from a food truck in Ft. Worth Texas, it was a grilled goat cheese and peach sandwich! So many possibilities! The first day I wasnt thrilled with the blueberry/blackberry sauce. After a day of refrigeration, I can only sing your praises. Didn’t bother with the mint, and I am sure that would have been smashing. Ate this as a Lenten lunch, no real sacrifice. Thank you so much. 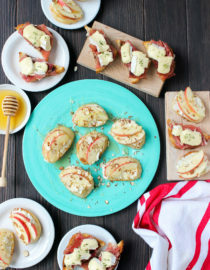 Thank Pinterest to show me the way for my next snack it looks incredible! I’m having the girls over for wine and this will definitely be on the finger food menu! 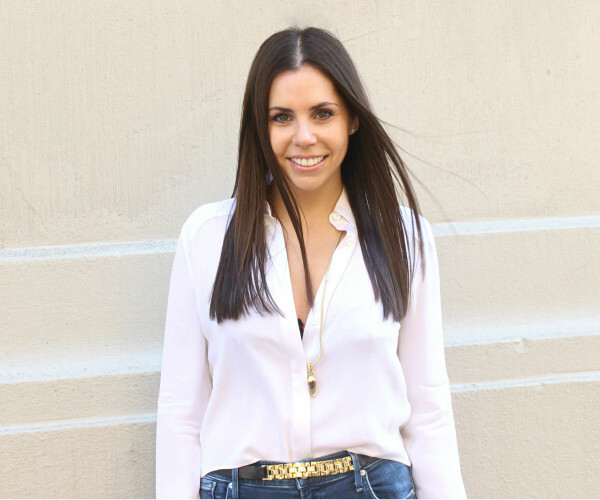 Thanks for the inspiration to get back into the kitchen Christine! that’s so great to hear Lisa, I hope you love it! Would the BlackBerry sauce be okay frozen and rethawed? I’ve never tried doing this, but I don’t see why it can’t be done! Just freeze it in a quality container, like a Ball glass jar.